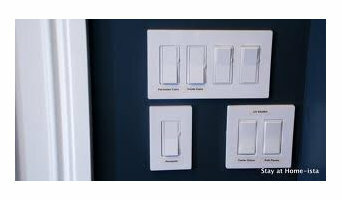 Suess Electronics specializes in professional custom electronics installation and design, including home automation systems, home theaters, whole-home audio, television installation and more. Originally founded in 1951 as a radio and television store, Suess Electronics is a family owned business that puts a personal touch on serving the audio and video needs of our neighbors in Northeastern Wisconsin. There is no system too big or too small! Come check out our 30,000 sq. ft. retail facility, and one of our knowledgeable consultants will be your guide. Our Master Service Center is here to help with repairs, and we're also an authorized Verizon Wireless retailer. If you're looking for a custom home theater, outdoor audio, the latest HD television, an automated home lighting system and much more, Suess Electronics is here to help you. Company Overview Techteriors, LLC is a full-service audio/video and electrical company providing design, engineering, installation and service of easy-to-use, reliable systems that enhance security, entertainment, communications and energy efficiency for residential and commercial clients. Founded in 2001. Residential Systems Integrator. We design, sell, install and service all types of home systems, i.e., home automation, home theater, house a/v systems, networks, Security, and CCTV systems. Do you find yourself wanting a Smart Home or Surround Sound System for your home, but not knowing what to get or where to get it? Have you gone to local stores with questions, only to come home with more questions? Do you feel, lost underappreciated or more confused after visiting one of the local or national chain stores? Know that Naudio Systems is here to help you! My name is Scott Pipal owner of Naudio Systems; I was in your same situation a few years back. I would go from store to store only to come home confused and frustrated. So I set out to educate myself, and on this journey of teaching myself, I discovered that there is not a store around where you can get free honest and knowable advice and not feel pressured to buy a thing. Suffice Naudio was created. My business prides itself on understanding YOUR needs, not having you spend more money than you need to, educating my customers, provide reasonable pricing and total satisfaction throughout the entire process. Design, Sales and Professional Installation Of Audio, Video and Home Automation. Navigating the often unchartered waters of technology can be difficult. Since 1988, though, customers of HiTech Homes have enjoyed peace of mind exploring upscale, full-service home and business technology solutions. Quantum leaps in entertainment and automation technology have occurred since then. Decades ago, when HiTech Homes started out, the VCR was considered “state of the art.” Over these years HiTech Homes has consistently led the way, while other companies have come and gone. How? A company-wide focus on innovation and delivering our customers the best, most user-friendly technology-based experiences, backed by a professional, friendly staff boasting unparalleled knowledge, education and expertise. Being a “first adopter” of new technology might be hip. It’s not always smart, though. We continually test, train and observe to bring you the top-performing, most reliable systems in entertainment and automation. The success of HiTech Homes is about more than adapting to product changes. It’s about our customers knowing we’ll be here tomorrow, and whenever they need us. As technology advances, we’ll advance with it, and always stand behind our service. Who knows what’s next? Perhaps what’s “advanced” today will someday be considered a technological fossil (kind of like a VCR). We can’t forecast the future, but promise you that HiTech Homes will be here to help you. ProdigyOne is a trusted, ethical resource of smart technology. We provide you with meaningful, elegant and simplified solutions for your home or office. Enjoy the convenience of control right at your fingertips. We offer innovative features through a diversified product mix, all tailored to you, creating captivating user experiences. Hiring an experienced audio/video professional is essential. Our role is comprehensive and our vision consistent; simplifying technology from initial concept through completion creates a more rewarding life. Sound World knows that high performance home theater should achieve one goal - your total enjoyment of music, movies, and media. A properly designed system matches your needs with your desired level of complexity or simplicity. Whether you're enjoying quiet background music or participating in a big screen surround sound action movie, we are ready to integrate the right systems into your home. Customer service is our top priority. Over 25 years of experience in audio- video sales, installations, custom designs for residential homes and commercial businesses. 100% customer satisfaction guaranteed! Reasonable and competitive pricing! No job too big or too small! We are fully insured and bonded. AB Custom Audio provides the best custom home audio and media design services. We serve Appleton, WI and surrounding areas. 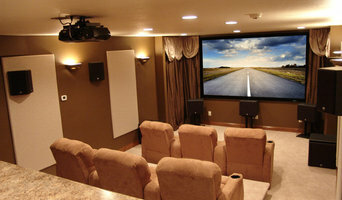 Connectronix is the South-Eastern Wisconsin’s Premier Custom Audio/Video installation dealer. Offering a full spectrum of design, sales, and professional installation services. 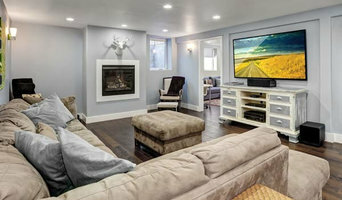 Services like Home Theater, Custom Cabinetry, Computer Networking, and Home Automation, just to name a few, Connectronix is the most complete and diverse Audio/Video Dealer around. Connectronix is your one stop Dealer for all your technology needs. America In-Home Technology offers you and your family customized, state-of-the-art media entertainment experiences. We specialize in smart home automation, audio systems, structured wiring, central vacuums, home theaters, security systems, and upright vacuum services. Our experienced designers collaborate with you to design a customized media entertainment system based on organizational needs, home aesthetic, and price range. 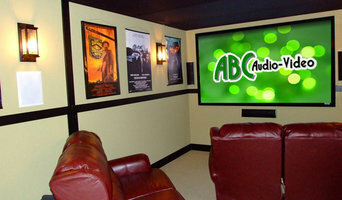 We aim to cater to your vision and requests throughout the process in order to make your media center dreams a reality. Explore our previous projects online at our website or give us a call at (262) 790-4050. You can also visit our showroom, located only 15 minutes from downtown Milwaukee, to take the first step toward adding a new media center to your life. A locally owned company designing, installing, and servicing whole home audio/video systems and home theater since 1978. Flanner's is a specialty retailer of home entertainment, which allows us to provide you with more options and better solutions than anyone! A locally owned specialty retailer of better quality Audio and Video products, with expert advice to help with your selection and design. R&R Technologies is a leader in providing technical solutions to keep you connected, keep your home or business secure and keep you happy. Whether you are remodeling and your wish list includes a home theater with surround sound, or you are building a smart home, or you want the ability to remotely monitor your business, we can make it happen. Our full-service capabilities offer proven consultation expertise, custom design and professional installation. Learn about AV Dynamics of Manitowoc Allow AV Dynamics of Manitowoc transform or enhance your home, vehicle, or watercraft into the hub of entertainment. From installing a simple receiver to complete home automation, we offer service and more than 85 years of combined experience that you can always depend on. Located in of Manitowoc, Wisconsin, we've become a trusted authority for custom installations of audio and visual equipment from the world's most trusted brands with everything from stereos, speakers, and subwoofers to amps, accessories, and wiring. You'll immediately notice and appreciate the level of attention to detail we promote every step of the way. Once the sale is over, we never abandon our customers. Our ultimate goal is for you to be pleased with your purchase for a lifetime. If you're the kind of person who loves hosting parties where guests watch the Oscars, the Super Bowl, or the latest sitcom, putting the time and effort into creating a cozy media room or theater in your Gibbsville, WI home could be a good investment. But unless you're a wiring and surround-sound guru, figuring out the technical issues can get a little messy. That's where a home media designer comes in. Home media specialists not only can design the seating and decor for your dream home theater, but most of them can help you find specific media control options, conceal your television and various accessories, set up optimal seating, choose and install ideal lighting, and help create the ultimate viewing environment. Some of these Wisconsin professionals work entirely on their own, while others work with subcontractors to get the job done. Here are some related professionals and vendors to complement the work of home automation & home media: General Contractors, Interior Designers & Decorators, Paint & Wall Covering Dealers, Furniture & Accessories, Specialty Contractors. Find a home media designer on Houzz. Narrow your search in the Professionals section of the website to Gibbsville, WI home media designers. You can also look through Gibbsville, WI photos by style to find a room you like, then contact the professional who designed it.